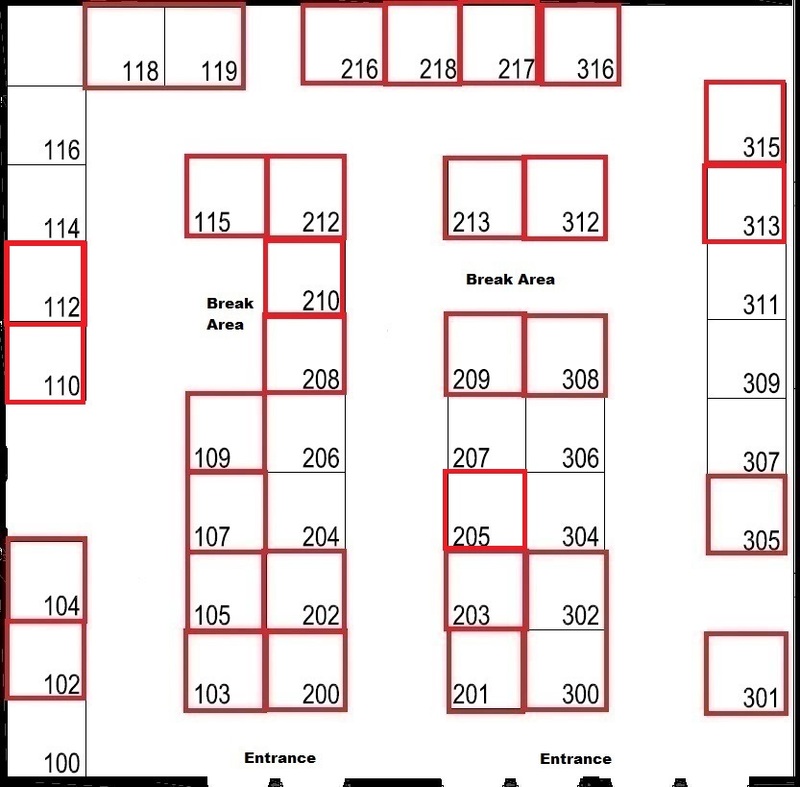 #203 - RKI Instruments, Inc.
#209 - Lee Mechanical Contractors, Inc.
#212 - OCC Civil & Mechanical, LLC. #213 - Russell and Sons Const. #300&302 - McCourt & Sons Equipment, Inc.
#308 - Westward Environmental, Inc.
Texas Bearing Company has grown to serve as the region’s premier, independent distributor of bearings, power transmission equipment, fluid power components and a full line of screening, crushing, washing and material handling Equipment. Our ability to consistently provide unsurpassed services and quality products has helped establish long-term relationships with Texas operations and beyond. Advising employers, clients, employees or appropriate authorities when my professional judgment indicates the protection of people, property or the environment are unacceptably at risk. G.W. Van Keppel is an equipment dealer founded in 1926. We supply oem and aftermarket parts to the aggregate, concrete, and cement industries. We are a dealership for Superior conveyor components, Eagle Foundry crusher parts, ESCO, Bucyrus Blades, Mincon hammers, Argonics urethane, and Buffalo Wire screens. We are an aftermarket supplier for most crushing and screening equipment in the industry. As experts in the aggregate and material processing industry, we provide high-quality equipment, parts and services across Texas, Oklahoma, Louisiana, and Arkansas. McCourt and Sons prides itself in helping customers solve their business challenges and delivers the utmost satisfaction with conveying, screening, washing, crushing, grinding, shredding and recycling equipment. With 80+ hard working team members, it’s hard to believe it began with less than a handful of employees in the late nineties. The journey began when John & Eileen McCourt, now retired, relocated their family from Ireland to America in 1974. McCourt and Sons was founded in La Grange, TX in 1999. We believe in providing the best products, services and customer support in the industry. In 2019, McCourt and Sons’ celebrates 20 years! All State Fire Equipment provides the sales and service of fire suppression and air quality systems for off-road heavy equipment. Our quality, American made products along with our MSHA certified, trained technicians can reduce exposure and costs, protecting your most valuable assets. Some of our partners include AFEX, Amerex, Ansul, Enforcer, and Sy-Klone. Westward Environmental, Inc. (Westward) is an environmental and engineering consulting firm providing a broad range of services to our clients including environmental, geologic, engineering, safety & health, and natural resource management. Our business was built on relationships with our clients and business partners. These relationships were formed by the dedication of Westward employees to provide the service, knowledge and expertise that our customers rely on, at a fair price and delivered in a timely fashion. As a result of this customer driven philosophy, Westward’s client retention rates prove that this process works. Each year more than 80% of our business comes from clients that we have assisted for years and many of our new clients come to us through referrals from our existing customers. Westward has also maintained an excellent working relationship with the Texas Commission on Environmental Quality. RMC Engineering is a family owned and operated California based corporation. RMC has grown over the years to become one of the largest full service trailer repair facilities in Northern California for trailers that specialize in bulk material hauling. Since our founding in 1957, Klein Products has been at the cutting-edge of our industry. And throughout our long history of delivering proven value, our numerous innovations have continuously set new standards and inspired imitation from our competitors. Our patented TRAP tank — featuring a trapezoidal shape and internal structure that dramatically improves operating safety and efficiency by lowering the center of gravity, perfecting weight distribution and optimizing visibility — is just one of many examples of our industry leading innovation. With strategic planning and preparation we ensure that projects are carried out in a safe and productive time frame. G5 offers a full range of welding capabilities to meet virtually any fabrication or repair need. Premier Safety - The smart choice for all your Safety & Environmental Solutions! Your single source for everything: We sell it, rent it, fix it, calibrate it and we service it! World Leader in Industrial Hygiene Analysis and Monitoring Solutions. SGS is the world’s leading inspection, verification, testing and certification company. We are recognized as the global benchmark for quality and integrity. With more than 97,000 employees, we operate a network of more than 2,600 offices and laboratories around the world. World leader in portable and fixed systems gas detection instruments. As the North American subsidiary of Riken Keiki Co, world leader in gas detection and sensor technology, RKI markets Riken products and actively develops its own product lines. With the backing of Riken Keiki, RKI’s list of detectable gases is the most comprehensive in the industry! Many sensor technologies are used, including catalytic combustion, thermal conductivity, electrochemical, infra-red, paper tape, pyrolization, metal oxide and other. Lee Mechanical was created in 1985 to fill the demand of the industrial market for mechanical maintenance which has now evolved into a full service mechanical contractor with unique capabilities of design/build services, professional contracting services and a comprehensive fabrication shop. Our contracting expertise ranges from construction management in the role of general contractor of major construction projects to subcontract installations. Our experienced engineers, project management staff and skilled tradesmen are ready and capable to bring your project in on time within budget, with the highest quality and with exceptional safety performance. Lee Mechanical's fabrication shop offers a full range of industrial fabrication, modularization and pre-assembly. Our Projects range from in-house fabrication of materials needed by our contracting teams to the modularization of entire manufacturing facilities. Some of our capabilities include pipe fabrication shop, structural steel shop, paint shop, electrical wire shop and large assembly and testing area. Electrical Contractor, 24 years of industry experience Master Electrican License, fully insured and MSHA, OHSA & CPR certified. 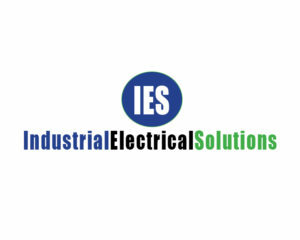 Specializing in Controls, PLC, VFD & Soft Starts, Low-Medium-High Voltage, New & Retrofit installations and troubleshoot. After Hours, Weekends and Out Of Town Services Available. In Texas the #1 on the job fatality is transportation related. The Our Driving Concern Program: Texas Employer Traffic Safety Program provides free traffic safety information, resources, and training to equip Texas employees in addressing traffic safety in the workplace. PDM regulates all mining production which includes both coal and non-fuel minerals. The agency is committed to protecting the rights of citizens and to the promotion of mining. PT 46, PT48 Annual Refresher, New Miner, First Aid CPR/AED. Offers Fire Safety, Supervisor Training, Electrical Safety, Job Site Audits. 4818 E. Ben White Blvd. The largest independent Epiroc drilling rig dealer in Texas. Your South Central source for drilling equipment, drilling accessories, mining equipment, and construction equipment sales. OCC Civil & Mechanical, LLC. 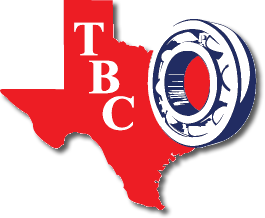 We are a construction company serving Civil and Heavy Mechanical customers in Texas, Oklahoma and throughout the US. The strength of our company is found in our management team who have a combined 50 plus years’ diverse experience in specialized backgrounds. It is this diversification that enables us to succeed in many areas of construction. OCC strives to be the best in safety, environmental, value, quality, craftsmanship, response, schedule, and performance. We use the above attributes to be the best and will not sacrifice a single one for any revenue. We exceed any pre-qualifications for EMRs, MSHA and OSHA recordable rate, safety orientation & training, insurance, bonding, drug free workplace and prevailing wages. OCC offers a variety of industrial, mechanical & related services to our customers. Although our offerings are diverse, each of our services is considered a specialty and upholds OCC’s stringent standards for Quality, Performance and Reliability. The OCC team is equipped to handle any construction or maintenance project, insuring safety and decreased length of shut downs. Law Office of Adele L. Abrams PC is a multi-attorney firm with offices in the DC area, Denver, and Charleston, WV. We represent employers nationwide in MSHA and OSHA litigation, as well as in employment law matters in many states. Our attorneys include CMSP, CIH, CSP and mining engineers, who also assist with proactive solutions, safety and health audits, crystalline silica management, and Part 46/48 training. We have the expertise to develop all types of simulation software and hardware – whatever the machine, tool, or industry. Simformotion™ LLC, is a privately held business headquartered in Peoria, Illinois, USA. The business is owned and run by three tech-loving gurus who also own sister company, CSE Software™ Inc. Ken Pflederer founded CSE in 1990. Vice Presidents Lara Aaron and Renee Gorrell joined him as partners in 1992. In 2008 they formed Simformotion LLC as the simulator arm of the company. Simformotion specializes in simulation technologies within industries such as construction, mining, forestry and agriculture, with sales throughout the world. Since 1987, the Health and Safety Training Center at The University of Texas at Austin has provided safety and health compliance training to the Texas mining industry as the Mine Safety and Health Administration (MSHA) State Grants recipient of Texas. Throughout the years the name has evolved and was most recently known as the Texas Mine Safety and Health Program. As a grant funded program, the Health and Safety Training Center is responsible for providing safety and health training and a variety of other services to improve the conditions of mine safety and health within Texas. In addition to providing mine safety compliance training, the Health and Safety Training Center is continuously expanding to provide safety and health training for Occupational Safety and Health Administration (OSHA) compliance, Electrical Safety, Certification Exam Prep for safety professionals, MSHA Underground Mine Safety compliance, and expanded First Aid/CPR offerings. At Southern Welding LLC we work hard to establish ourselves as a leader in the industrial mechanical & environmental industry by promoting safety, integrity, quality workmanship, dependability, and exceptional service. We are dedicated in providing the highest standards of quality and service to our customers while meeting their individual needs. Retailer of portable, therapeutic massagers, TENS Units. Our devices are a non-invasive and drug-free means of achieving pain relief, and are approved by the FDA as Class II Medical Devices.